Some time ago, I was contacted by a PR lady who is trying to spread the word about a kidney care cookbook, written by TV chef Lawrence Keogh (head chef at Roast) - you might have seen him on Saturday Kitchen. 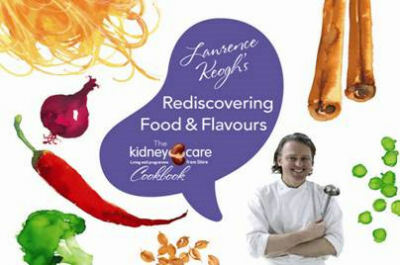 Lawrence wrote Rediscovering Food & Flavours after having a kidney transplant at the age of 35. The book contains 16 delicious recipes and is available free of charge from renal dieticians. It is designed to help people cook meals that are still exciting and flavourful, but move away from the dull low phosphate diets that many sufferers have to contend with. You can also download the book here, or email me and I'll send you the PDF file (& recipe cards) for you to download. 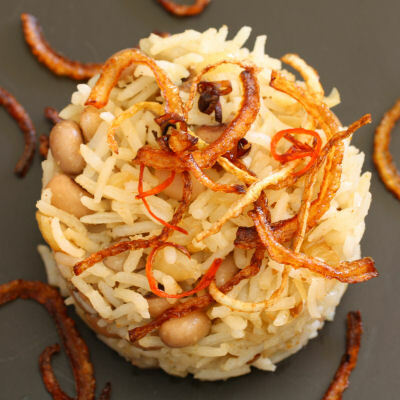 Lawrence recently added 4 new recipes, Chinese Spare Ribs, Garlic Chilli Prawns, Black-Eyed Bean & Basmati Rice and Malvern Pudding, which are available on recipe cards. These new dishes are not only tasty and nutritious, but also safe to eat, without conflicting with any medication. World Kidney Day is the second Thursday in March every year, and you can read more information on their website. One in 10 people will develop CKD (chronic kidney disease) in their lifetime in the UK alone, hopefully this cookbook will entice people into cooking and eating well balanced, tasty meals. 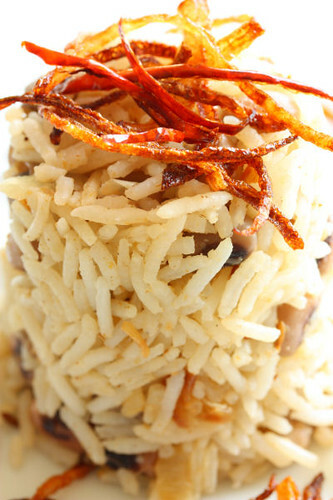 Boil the basmati rice until tender, drain and keep warm. Meanwhile, fry the onion in the butter until golden brown, then add the chopped garlic, ground ginger, ground coriander and the cumin seeds. Now add the black-eyed beans and let it all cook together. Add the honey and remove from the heat. Season with the black pepper. Stir in the rice and serve warm. You can also serve this chilled, as a rice salad to accompany meats or fish. Note: On most low potassium diet sheets, beans and pulses are often on the avoid list, but as you can see from this dish, portion sizes and other ingredients in the dish can determine its suitability. Oooh yummy yum yum! This looks delish! Thank you so much for sharing the info on World Kidney Day, I was not aware of it. The recipe is really appealing both to my eyes and to my stomach. An amazing book from an amazing person. I love the depth of flavours and the visual appeal ... enticing is the word Nic! Thanks for spreading the word so beautifully. All the 4 recipes you mention sound fab! Thank you for sharing this amazing book that tells a story and is for a good cause. Interesting stuff. And yummy-sounding recipes, too! If this kind of book can't entice people, then what will? What a great cause. I firmly believe in the huge contribution food make to health both in what you what you eat and how much you enjoy eating it! That looks very tasty, beautifully presented too. Very interesting & this is such a beautiful & tasty looking dish! I never cook rice with salt and have gotten so used to the taste over the years that I don't miss it. It's cutting out the salt in my meat that's the challenge. Anything in the book on that? Wonderful book! And a great recipe. Perfect meal in itself I think. 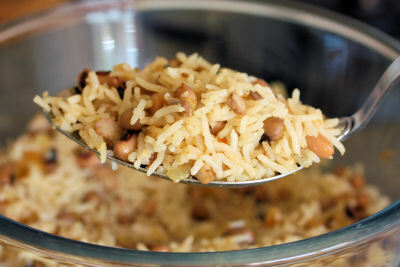 That rice looks very tasty Nic - I have a load of cooked black eyed beans in the freezer so this is ideal! This rice combo really yummy! All of the recipes in the PDF file look great. You have chosen a good recipe to share with us and it looks delicious too. ooh I have just bookmarked this to make for dinner. I'll probably have to use different beans but bet it will still be yummy! Raspberry Cream Cakes + DMBLGIT Thanks!